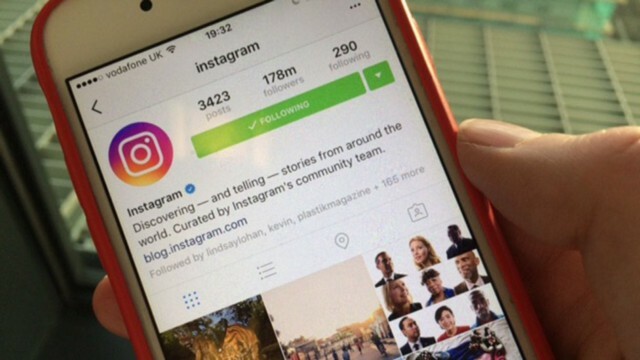 Remember the scheme: you regularly publish Instagram stories, the stories get subscribers’ reactions, after this Instagram takes it into account - and promotes the publications in the newsfeed, which in its turn leads to the growth of account’s ER and the growth of target organic traffic. Experts say that the more reactions on each of your publications you get, the higher the chance to get top positions in the newsfeed. Motivate the visitors to go to account or publications. Motivate the visitors to send you private messages. Motivate to keep on checking the new stories without missing any. Each day Instagram stories are checked by 200 million users. Theoretically, you can communicate with those who don’t see your content in their newsfeed, through Instagram stories. This auditorium can be forwarded to your account and to your publications. Make a screenshot of publications and ask to express opinions on your publications through the stories. You can make an intrigue up by posting screenshots with notes regarding the content, technical features of your account, or the possibility to win a prize. Intrigue your subscribers with catchy phrases, provoking them to start a conversation or building an intrigue making them want to learn an answer to your question. In some accounts a button of a clickable link is available. You can use the address of one of the publications on your Instagram as a link. Unfortunately, the publication will get opened in Instagram’s built-in browser. The visitor of the story won't be able to comment or like the publication, and most probably his or her browsing won’t be counted in the general statistics of your story. Nonetheless, going through such links is easier than entering account, finding a right publication, and checking it. Instagram will record a click on this link, which will also be a plus for the total ER of your account. In order to make the visitors to write you private messages, you just need to ask them to do so. Make up a feedback feed, and get your visitors, advices on the product, services, and content. Make competitions and giveaways through instagram stories. Make those who want to take part in them write to your private messages. Make posts on giveaways and summarizing of the results of contests. Try selling through stories. Do not forget to ask for certain actions. If stories are often checked and no one wants to miss them, it means that they are interesting to the subscribers. Most probably, the content of the account is also interesting. Don’t forget to encourage subscribers’ activities. Publish useful content. The use can be different: education, entertaining, informative. The main for the subscribers is to get what they subscribed for. Work on readability. Each visitor of the stories checks a story quick, and proceeds to the new story. If the story isn’t interesting or it’s hard to read, they are going to skip it. Use contrast colors, do not overload the stories with extra information. Except for official and targeting advertisements, through Instagram stories one can get paid advertising and integration in collaboration with bloggers, to make publications exchange or other types of common activities. If you make a publication in stories, in which you recommend your subscribers to pay attention to someone’s account, and point your active link through @, than it’s very probable that one will give you a symmetric answer, and you get a traffic from the other blogger. Communicate with your auditorium – ask questions and get feedbacks regularly. Motivate the subscribers to enter your account and to leave comments under the publications. Make use of intrigue, trends and giveaways, so that people want to take part in these activities. Work on the quality of your stories, so that no one wants to skip them. Advertise through other bloggers, even when they are not numerous – it’s free, and you get a target auditorium in any case. If you feel lost in all these tricks, we do recommend you to make use of Leogram services, for its specialists will provide high quality services on your Instagram account promotion at a reasonable price. Pay for result, do not compromise on quality!